Prior research links higher intake of linoleic acid and blood linoleic acid level to smaller risk of CVD and type 2 diabetes. Disproportionately high levels of omega 6 fatty acids in U.S. diets and the need for more omega 3 oils are at the heart of the country’s obesity crisis, according to Dr. Barry Sears, best-selling author of “The Zone,” creator of the Zone Diet and founder of ZoneDiet.com. 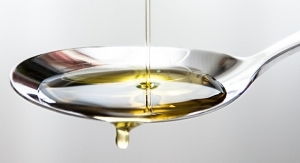 Recent research reveals interesting consumer perceptions of GLA-containing oils.